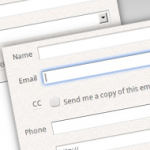 WordPress Options - add options to your products, the easy way! Synved/WordPress Products/WordPress Plugins/WordPress Options – add options to your products, the easy way! Easily distribute premium upgrades for your WordPress products with this addon for WordPress Options! It will make it super easy for your users to install premium content in your themes or plugins. Simply go under the Plugins page, then click on Add new and select the plugin's .zip file. 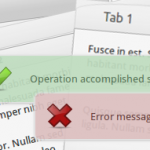 How do you use this WordPress Options framework in a nutshell? 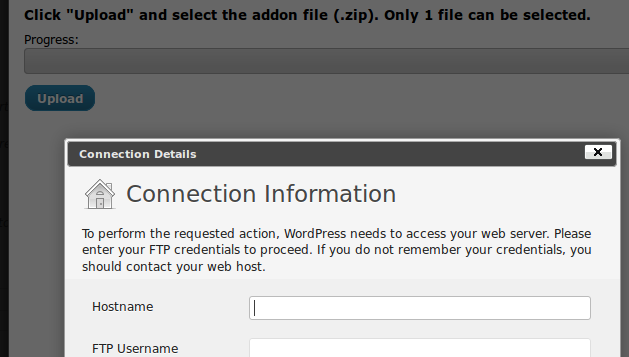 How do you retrieve a specific setting value from the WordPress options framework? 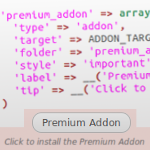 If you then also decide you want to provide an intuitive interface in your options panels for your users to easily install premium addons, you might want to consider purchasing the Addon Installer. 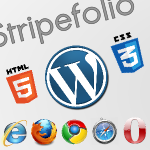 The plugin provides many different option types that cover most of any designer/developer requirements. 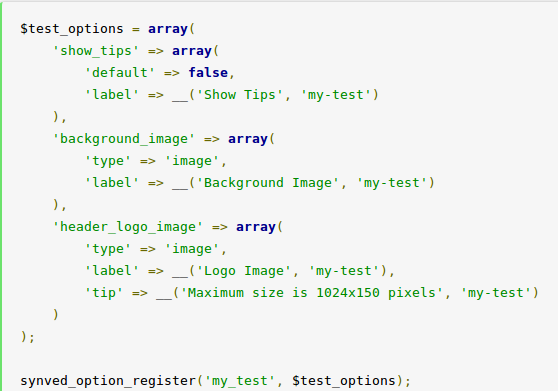 The list of option types so far: boolean, text, integer, decimal, color, image, video, media, style, script, user, author, category, page, tag-list, options-page, options-section, addon.